Grammy Award nominated reggae artist Etana celebrates her prestigious nomination for Best Reggae Album, “Reggae Forever” with a 2019 tour that includes SurfSide on Salisbury Beach. Etana’s album debuted at #1 on the Billboard charts. This era’s queen of reggae makes history as the first female to have two consecutive #1 albums on the Reggae album chart, and as the first female in 21 years to be nominated for a Grammy Award in the Best Reggae Album category. Etana’s 2013 album brought her back to reggae’s foundation via vintage sounds and one-drop rhythms, earning praise from the Associated Press for its “mature and confident sound,” “top-notch lyrical content” and “unique vocals.” The same year, Etana took home the award for Best Female Vocalist at the International Reggae and World Music Awards. Etana continues her forward movement becoming the first female to achieve a Reggae Billboard #1 in seventeen years with “I RISE.” The album reflects the singer’s ongoing maturity while maintaining the R&B-inflected take on reggae that she’s come to be known for, showcasing the diversity of a true musical Renaissance woman. "I RISE" was listed as the number one album of 2014 and also in the top five of thirty albums released that year. Inspiring others is nothing new for Etana. From the outset of her career with “Wrong Address”—a track which led many to re-evaluate how they look at others from different socio-economic backgrounds—she has been instigating change. Five albums into her career, Etana has become a role model in Jamaica with her message and action. 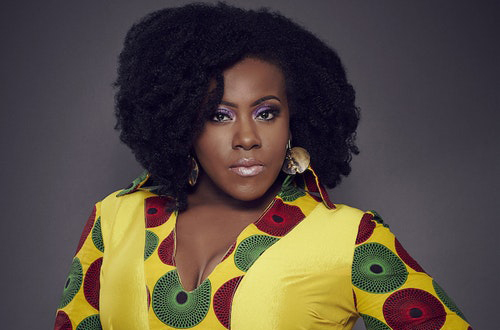 Etana has used her success in music to create a charity organization in Jamaica “Strong One Foundation” where she helps teenage mothers and girls who've been abused to receive counseling, regain strength and financial support to continue their education.